Warhammer Fest Reveals, Codex Space Wolves, Sororitas and Tons More! Warhammer Fest Europe had a ton of reveals, The Space Wolves codex is here, and a lot more showed up this weekend gamers. Get in here! In 40K: D&D stands for Deathwatch and Drukhari. Although I suppose it could also stand for Deathguard or Da Orks. 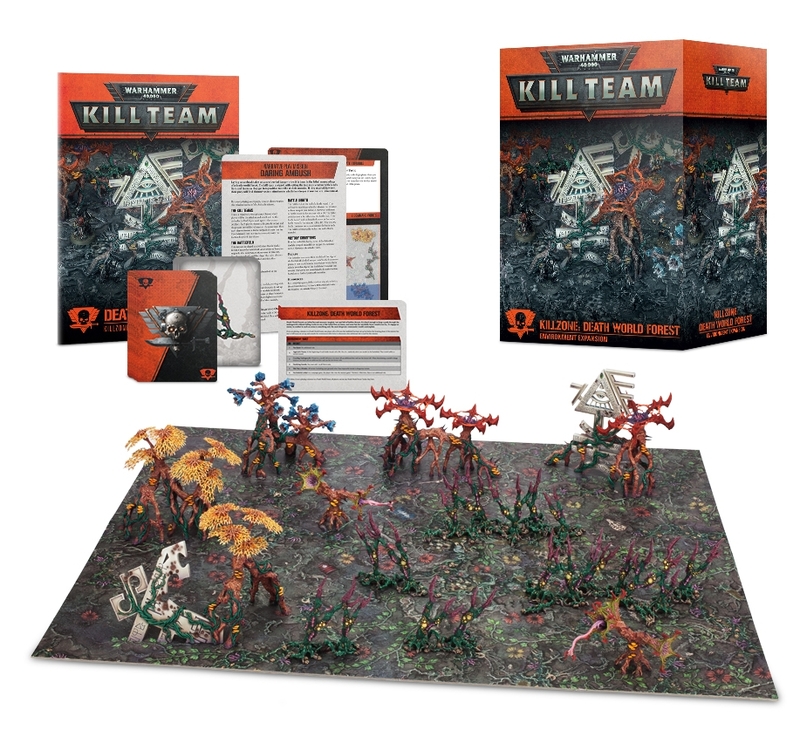 Regardless, it’s Dark Elves and Deatchwatch coming next week, and they’re bringing new Deathworld terrain. The new Menoth Theme Force is out, the Exemplars are here at last, mighty swords and shields of faith, backed up by the fiery protection of Menoth’s most elite knights. 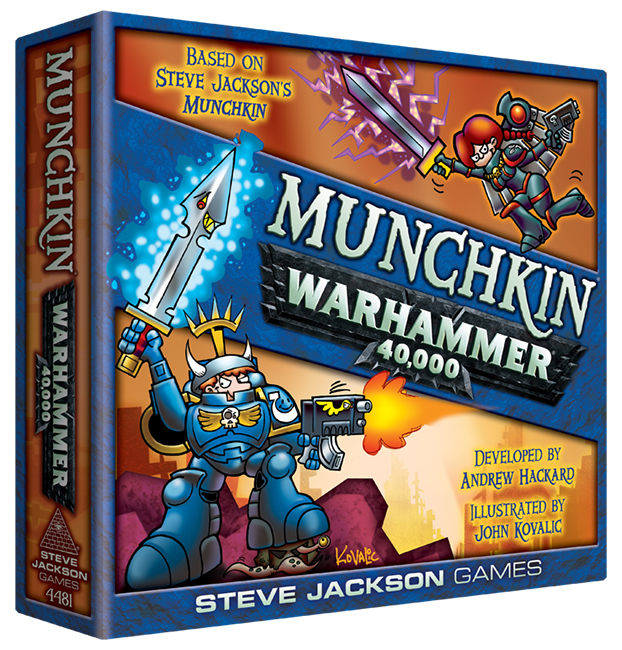 Munchkin 40K (or if you prefer, 40K Munchkin) is coming soon, and today we have a look inside a design diary and a preview of some of the upcoming cards. So tune in and check out what happens when Munchkin meets the Grimdark. It’s that time of the week – Games Workshop Pricing & Links are now live in all regions. Space Wolves battle with the Genestealer Cult in Tooth and Claw. Plus, Codex: Space Wolves is now up for Pre-order! That’s write, Heresy is happening down at Warhammer Fest today. This will not stand! The Inquisition will surely round up these heretics–but in the meantime, please enjoy these very stylish miniatures. Plastic Sisters are closer than you think. Here’s a preview of the arms and armory of the Adeptas Sororitas. 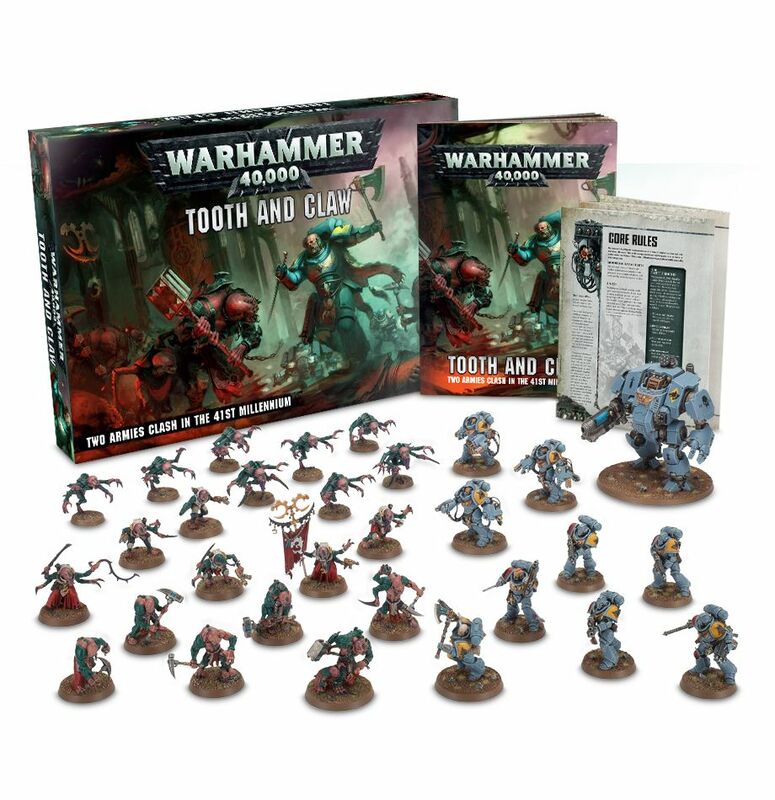 I mean we knew Rogue Trader was coming, but here’s a look at what it’s actually like–take a look inside the box set, and feast your eyes on these sweet Nurgle and Rogue Trader models. 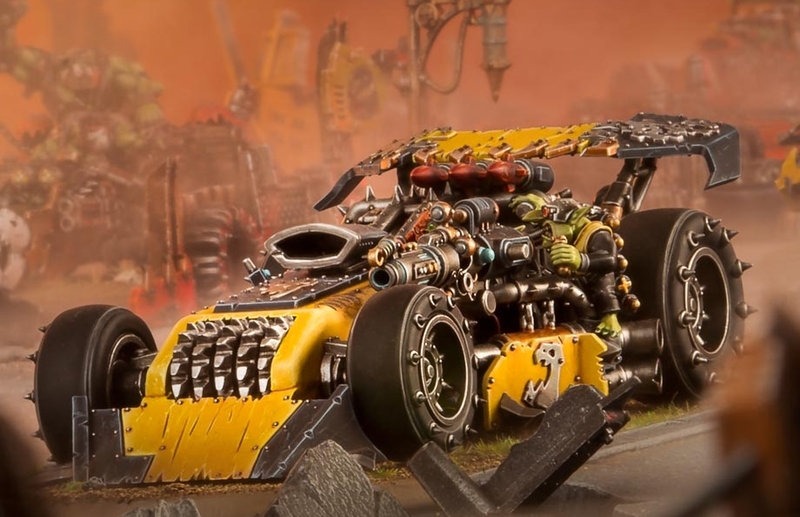 Fresh off the Warhammerfest presses, the new Ork Dragsta is here, along with the full reveal of Speed Freeks. 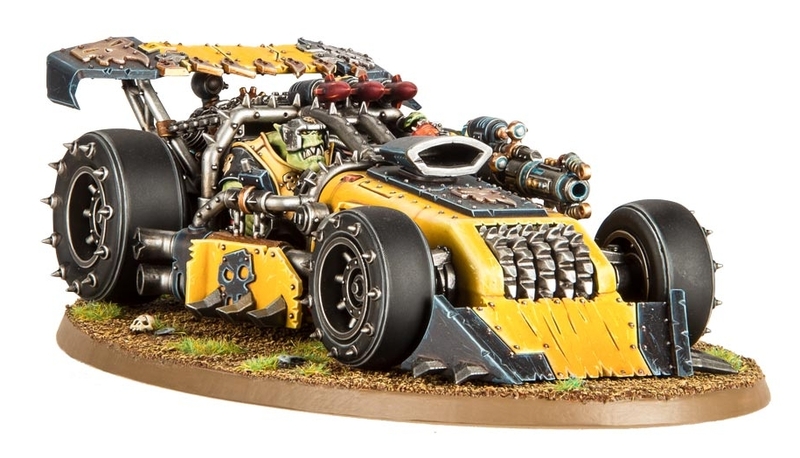 Look at this feat of Orkgineering. Adam Harry and Goatboy sit down with the new Space Wolves Codex. Come join them as they talk new units, points, and army goodness.